Replace the stock horn with aftermarket horns for a more… authoritative, horn sound. For example, PIAA 500Hz/600Hz electric horns, Fiamm El Grande Twin Horns, or Stebel Nautilus Compact Motorcycle Air Horn (115 dB on 12V). …but, despite the Fiamms definitely sounding louder, a sound meter indicated that the Fiamms are not louder than a 2013 LEAF’s stock horn! The stock horn is on a 10A fuse and is already controlled by a relay. The Fiamm El Grande horns draws 10A, so it can be simply swapped with the stock horn. However, horns such as the Stebel Nautilus/Nautilus Compact draws more amps (18A in case of the Nautilus’s), so adding a relay as well as larger gauge wire, with an aftermarket wiring kit, for example, ensures that the aftermarket horn can draw enough current to produce its full sound volume. Both the horn fuse and the horn relay are in the black fuse box in front of the 12V battery. Note that the Stebel Nautilus’ installation instructions call for installing the horn within 15° of vertical, otherwise you might get only one tone from the horn instead of two. The Fiamm horns’ mounting bolt is also its negative terminal. 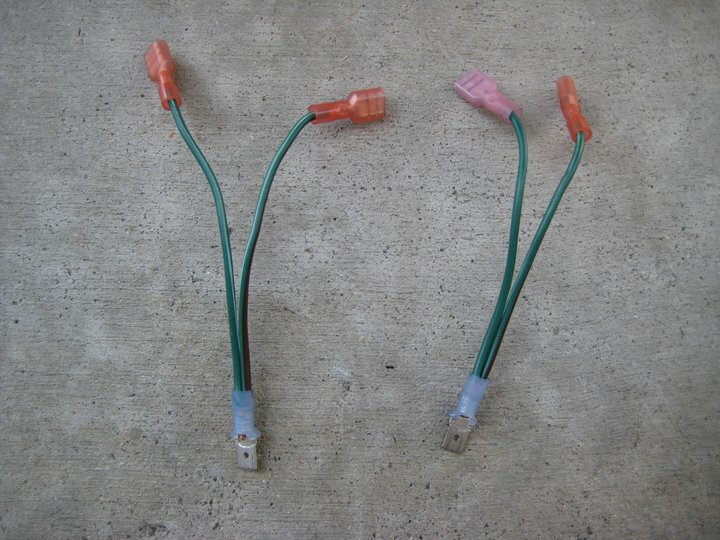 The kit should include washers that has a spade connector on their perimeter; the washer goes on the bolt and its spade connector provides the negative contact point. The single male spade connector on the horn’s body is its positive terminal. The horn bracket’s bolt is 12mm; it is torqued to 13 ft-lbs. 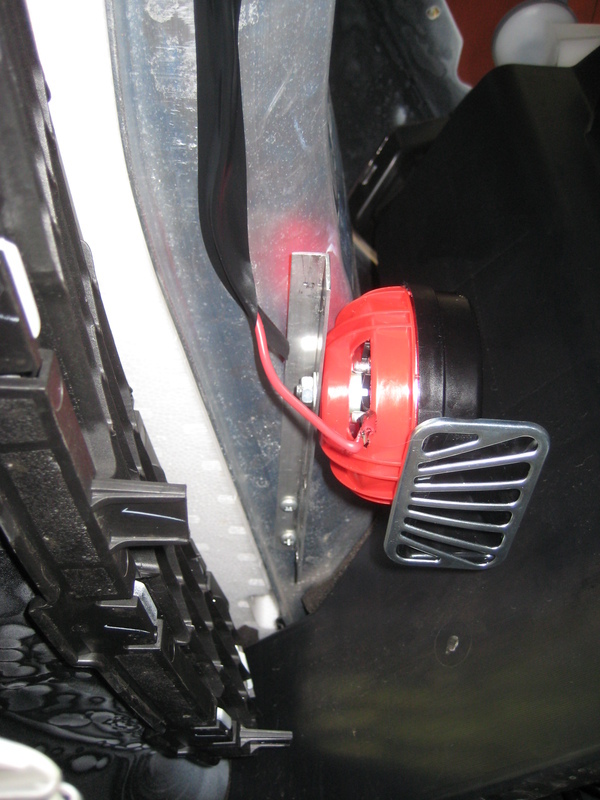 An alternate method of mounting is to mount the horns to one side Interwiki: mnl++, so as to minimize blockage of air flow through the radiator. 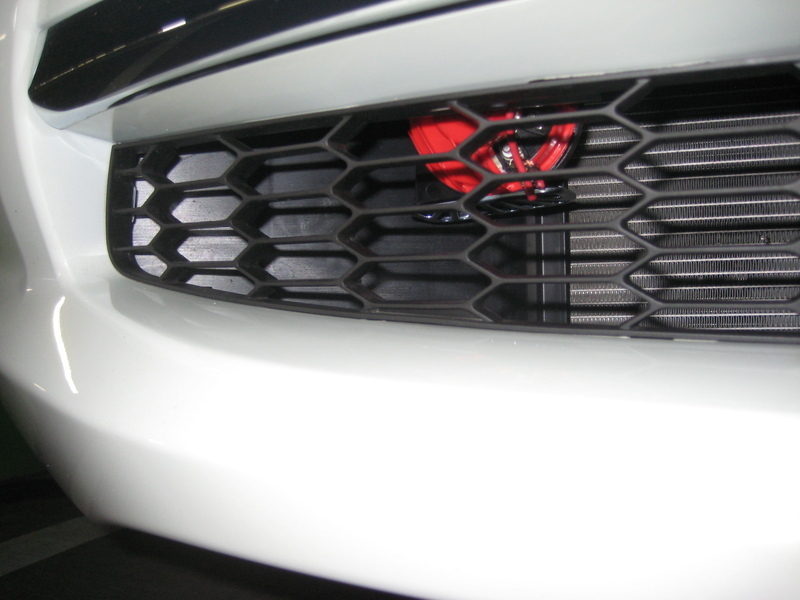 Use self-tapping screws and mount the horn(s) to the aluminum impact absorber in the bumper. The aluminum impact absorber appears to be sufficiently grounded to not require a connection to ground. Alternatively, for LEAFs before 2013 model year you can replace the horn from above. This involves removing the radiator’s cowl and the coolant expansion tank.